Having spent the first half of this year on Disability products in both the personal and business realm, it’s safe to say we are passionate about income and business protection! For those that are business owners and/or selling to the business community, let’s now talk Group Short and Long Term Disability. Why Group STD and LTD? Providing these benefits helps employers protect a portion of their employees’ income (and their own income) should they become too sick or injured to work. Offering benefits sets a business apart from other employers; it makes the company more attractive to quality talent, aids in employee retention rates, and are a way of saying thank you … we value you! The plans are Guaranteed Issue regardless of employees’ health and group size! Employers can include themselves in the plan to supplement their own individual protection. Plans can be customized to be 100% Employer paid, 100% Employee paid (Voluntary), or a combination of both. The portion a business pays for this insurance is considered a business expense and is tax-deductible. All we need is a census that includes gender, salary, occupation, and home zip code of each employee. If the group has a plan in place, we need the current benefit summary in order to match benefits at a lower cost, or provide a better plan at the same cost. We send a request for proposal (RFP) to as many of the top carriers in the country as possible. We analyze all quotes based on cost, volume, and definitions (the latter being the keystone of our agency). We create an easy to follow spreadsheet (including notes for the broker or employer allowing us to make the best and most knowledgeable recommendations). When necessary we will go back to the carriers and negotiate better plans and/or rates to best fit the client’s needs. As experts in the field of employee benefits and disability insurance we can support you whether you are a broker or employer. If you are an employee and your company doesn’t offer benefits, we will be happy to start the conversation! 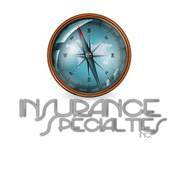 At Insurance Specialties Inc., we are here to help you design and implement the most comprehensive and competitive plan(s) based on the carrier strength, occupation, health, and goal(s) of your client.